When it comes to the perfect vacation, skiing can be pretty hard to beat in a lot of people's eyes. It's generally the vacation that has everything giving you equal opportunities to relax and soak in the culture of a place as much as you can hit the slopes. 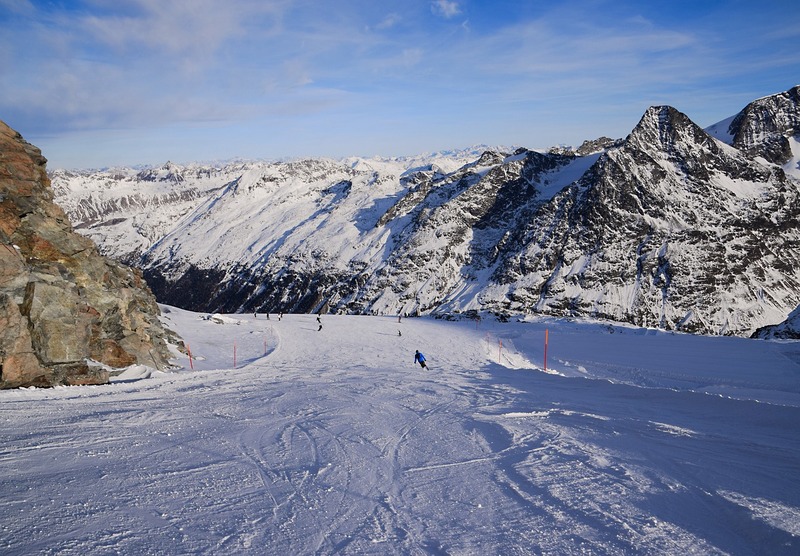 Whether you're a serious thrill seeker or you're after something a little bit more serene, skiing holidays can be perfect. Of course, for the seasoned skier, the issue can be trying to find a destination that feels new and exciting. After all, once you've been on a few skiing vacations, it can start to feel like you've seen all of the typical resorts. With that in mind, here are a few of the best, and most overlooked skiing destinations in the world that you might want to try instead. It's amazing that Andorra ski holidays aren’t more popular because it often feels as though they really have everything you could ever want. Not only does Andorra have some truly wonderful slopes for skiers of pretty much any level, but thanks to its tax haven status it's great for doing some duty-free shopping. Something that is made even better by the presence of plenty of jewellers and boutiques all through the region. Sure France and Spain to either side might be more popular, but there are plenty of charm to be found here in the Pyrenees mountains. Do you want to be able to ski well into the night without having to worry about losing too much light? Well, then Riksgransen is perfect for you! Here, in the world's most northerly ski resort, the days are incredibly long, and the wonderfully thick snowfall makes for some truly amazing slopes. During some dates in the summer, it's actually possible for you to ski, in full sunlight, past midnight! If you're looking to log some serious miles on the slopes, then Hochkoenig is ideal with thousands of meters of serious up-and-down slopes across as many as five different summits. Whether you're looking for a place to stay, that's totally modern or something a little more traditional, Hochkoenig has something fantastic to offer. When you think of French skiing vacations, you probably think of the major resorts that are filled with people, making the whole thing more stressful than it's really worth. If that sounds like your nightmare, then Sainte Foy is the perfect antidote for you. With slopes that offer a lot of family friendly fun and some truly remarkable off-piste skiing, Sainte Foy really is the ideal destination for anyone who's looking for a slightly quieter, more relaxed experience than you might normally expect out of a French skiing holiday. No matter where you decide to go, hopefully, you can see just how broad the selection of different skiing destinations really is. Next time you're planning a trip to the slopes, don't just go for the obvious places, branch out and you might just be pleasantly surprised.